The Kerotin Ultimate Hair Care bundle is the one of the best solutions to long-lasting and luscious hair, and includes every tool necessary to keep your hair looking radiant and beautiful. 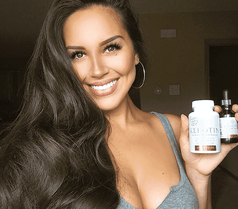 Our Kerotin Hair Growth Vitamins deliver results for women who struggle with dry, damaged hair in easy to take, all-natural vegetable capsules. When taken with our natural Kerotin Enriching Argan Oil, you will see and feel your hair naturally become more beautiful, day-by-day. Nothing but healthy hair from the inside out. This Keratin-infused shampoo gently smoothes and softens while adding strength to prevent breakage. ProVitamin B5 helps reduce frizz and fly-aways, leaving the hair silky and shiny. Removes build-up on hair and scalp. Great for wavy, curly and frizzy hair. Safe for colored, straightened and chemically-treated hair. A daily conditioner infused with Keratin, helps to seal the cuticle and reduce frizz, leaving it smooth and shiny. Plant extracts and conditioners strengthen, repair and restore elasticty. Locks out humidity. Perfect follow-up to a Keratin smoothing treatment or chemical straightening service. Safe for colored, straightened and chemically-treated hair. Kerotin Hair Care products are made using only the most pure and natural ingredients, to ensure your body is free of harmful chemicals, and we never test our products on animals. What’s In Your Kerotin Ultimate Hair Care Bundle? 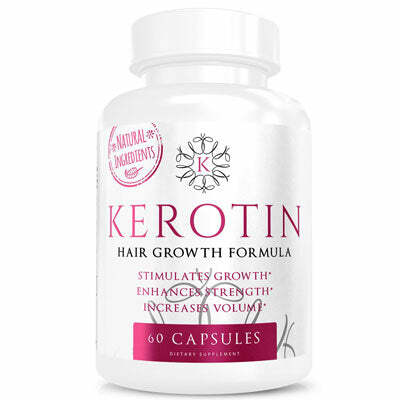 Kerotin Hair Growth Vitamins is Your Start to Longer, Stronger, Healthier Hair! Repair damaged hair with Enriching Argan Oil, which is easily absorbed by your hair, delivering a fresh, dewy glow, and keeping you looking beautiful from head to toe. 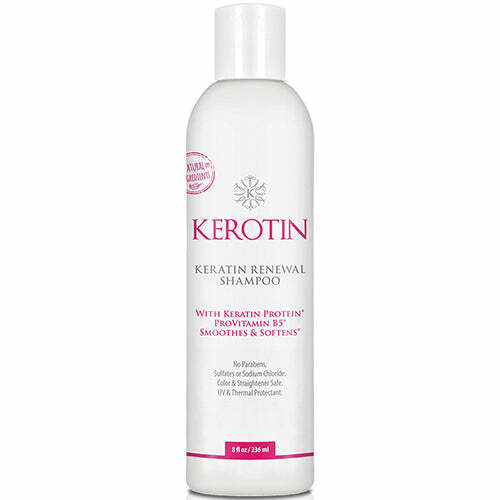 Kerotin's keratin-infused shampoo gently smoothes hair, reduces frizz & fly-aways, leaving your hair silky & shiny. 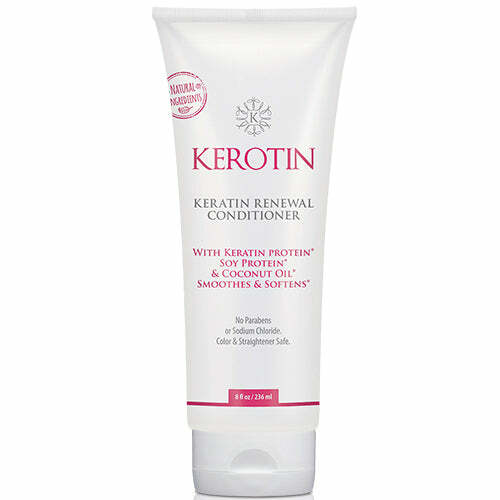 Kerotin's keratin-infused conditioner helps to seal the cuticle & reduces frizz, leaving your hair smooth & shiny. 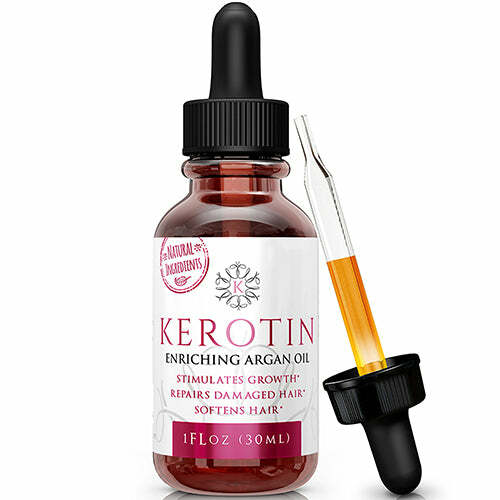 Combo - 3 Month Supply of Kerotin Hair Growth Capsules & Kerotin Enriching Argan Oil + FREE Shipping!